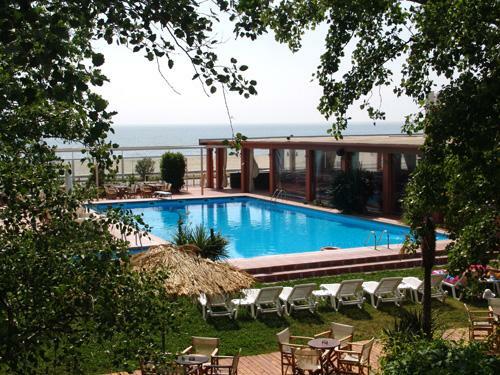 In the beautiful coasts of Pieria, in the golden sand, above in the wave,you will discover the EDEM holiday club, a hospitable group of bungalows, surrounding of the green, in the coastal street that links the two coastal settlements of Paralia Beach and Olympic Beach, hardly 6 kms. from the city of Katerini. Friendly and even organised reception, day and night, for you it provides willing right information and service.